NALCO 2018 Latest Jobs Notification. NALCO is inviting application for the positions of Junior Manager, Assistant Manager and more posts. Check the eligiblity and notification prior to apply for the positions. Last Date for Submission of Application is on August 23rd, 2018..
1. The candidate should ensure that he/she fulfills the eligibility criteria and Other conditions as mentioned in this advertisement. 2. Mere submission of application or meeting the advertized specification does not entitle the candidates' eligibility for the post. In case it is detected at any stage of recruitment/ selection\even after appointment that the candidate does not fulfil the eligibility norms and/or that he/she has furnished any incorrect'false information or has suppressed any material fact(s), his/her candidature/appointment wil automaticay stand canceled, as the candldature/appointment wouh be deemed to be void ab initio. The e-mail id mentioned In the application form must remain valid for one year. 3. All future communication With the candidates Will take place through e-mail only. 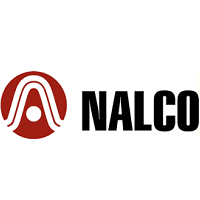 NALCO Will not be responsible for any loss/non-delivery Of e-rnail\any Other communication sent, due to invalid/wrong id ordue to any other reason The interested candidates fulfilling the specifications may also apply for deputation with permanent absorption through proper channel as per Govt. guldelnes Candidates enrking in PSIJs\Govt. should generally apply through proper channel or produce 'NO Objection Certificate at the time Of interview. 4. However, in case of failing in this regard, the candidate would only be allowed to join, if selected, after formal release orderfrom his present organization. Candidates wil be reimbursed 'Ind class AC(sIeeper) to and fro train/bus fare from their communication address mentioned in the on-line application for attending the interview for El, E2, E3 & E4 grades by the shortest route on production of tickets/proof Of journey. The candidates for E5 grade and above would be entitled to Economy Air Fare. 5. No change in communication address will be entertained at a later stage for the purpose of rembursement of TA NALCO reserves the right to raise the minimum eligibility standards. The Management reserves the right to fill up or not to fill up any of the above positions Without assigning any reason whatsoever. 6. NALCO also reserves the right to canceVrestrict/rnOdify/aIter the recruitment process and also reserves the right to increase\decrease the post advertised, if need arises without issuing any further notice or assigning any reason whatsoever. The Assessment of short-listed candidates applied against any post at El Grade will be made through Written Test & Personal Interview having weightage 85% & 15% respectively. For the posts at E02 to E05 Grades (except doctors),the assessment will be made through Group Discussion and Personal Interview with the weightage of 25% and 75% respectively. Candidates short-listed for any other grades including doctors at E02/E03/E04 grade will be assessed through personal interview only. Based on the performance in Group Discussion and/or personal interview, organizational requirement, vacancies to be operated, the candidates will be selected. In the event of number of short-listing candidates being large, the management reserves the right to raise the minimum eligibility standards/criteria by taking into account the qualification and/or experience to restrict the number of candidates for assessment. The final placement of the candidate is subject to their medical fitness as per Company's standard and other joining formalities. 3. Last date for receipt of hard copy of application along with requisite documents: 30.08.2018 (5.30 PM).